Cross Border Trade « What Happened to the Portcullis? STROOP – Journey into the Rhino Horn War, is getting a lot of attention all the way around the world at the moment and its clear to see why! The film tells the shocking and touching story of the ongoing poaching of the rhinos and the trade in its coveted horn. Four years in the making, this labour of love saw de Bod and director Susan Scott sell their houses, leave their jobs and move in with their mothers in order to document what is happening in the fight to save the rhino from extinction. The locally made documentary film, has just been awarded the 2018 Green Tenacity Award by the judges of the Eighth Annual San Francisco Green Film Festival, coming ahead of the film’s world premiere at the festival which will run from Thursday September 6 through to Friday, September 14. STROOP was one of 26 final films selected out of 350 submissions and one of five to win awards – a huge credit for producer, Bonné de Bod. It was supposed to be a 6-month project but soon turned in to a dangerous and intense expedition for which the passionate duo often found themselves in immense danger. In an exclusive first, de Bod and Scott filmed special ranger units inside the world-famous Kruger National Park and at the home of the white rhino, the Hluhluwe iMfolozi Park and travelled undercover to the dangerous back rooms of wildlife traffickers and dealers in China and Vietnam. The result is a hard-hitting – and ultimately moving – documentary that challenges and shocks viewers. Made solely with crowdfunding and grants – the film shows why this hunted and targeted species deserves to live in dignity, free from exploitation by illegal traders, poachers, money men and corrupt governments. Source: sandtonchronicle.co.za, 22 August 2018. Access the Resolution on Guiding Principles here! 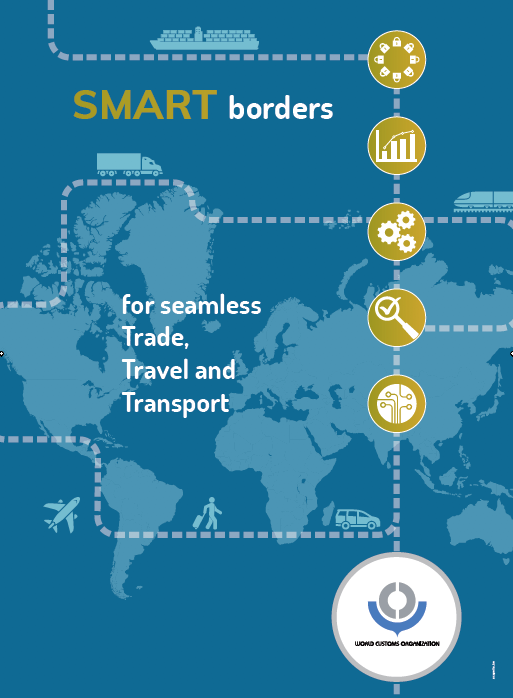 Visit the WCO’s Cross-Border E-Commerce webpage here! Global trade has reached its peak and globalisation is giving way to localisation, which is one of the most “profound changes” currently facing the global economy, says Paul Donovan, global chief economist at UBS Wealth. Accounting for about a quarter of the world’s GDP, global trade is at a record high. “This is as good as it gets. What we are now starting to see is localisation returning to the manufacturing sector,” Donovan said on Tuesday, speaking at a Sasfin Wealth event. Advances in robotics and artificial intelligence, collectively referred to as the fourth industrial revolution, mean that factories are mechanising, and are placed closer to companies’ consumer markets. Swedish retailer H&M is using robotics, manufacturing most of its clothing in Europe, not Asia, enabling it to respond to consumer demand more effectively, Donovan said. This allows the fast-fashion front-runner to quickly respond to consumer demand and even unseasonal weather. At SA’s recent inaugural Singularity University event, disruption innovation expert David Roberts said that 40% of the S&P 500 companies would disappear in the next 10 years as exponential technologies disrupted a host of industries. The average lifespan of an S&P 500 company had decreased from 67 years to 15 years, he said. While only about 9% of jobs would disappear altogether, automation and digitisation would affect about 40% of jobs, said Donovan. This would require people and companies to adapt to new ways of doing things. Source: Originally published in Business Day, Ziady. H, September 6, 2017. Globalisation gives way to localisation, in profound change, UBS economist says. Tax collection from transfer pricing audits has become more common in Africa, with little sign that it will abate in the near future. The transfer pricing policies of many multinational companies have attracted widespread attention in the recent past, to the extent that it is considered the “criminal child of tax”. Transfer pricing is the way a company prices goods and services supplied to a company within the same group. The price should be aligned to a price that the company would offer to a third party. Nishana Gosai, senior transfer pricing executive at Baker McKenzie, and former head of the transfer pricing unit at the South African Revenue Service (SARS), says that despite having transfer policies in place, most large multinational companies find it difficult to control every aspect of its business. There is a rising perception that transfer-pricing transgressions are criminal and should be met with criminal sanction. In Tanzania, failure to keep transfer pricing documentation is considered an offence. The punishment is a fine of $30,000 or six months’ imprisonment, or both. In SA, the revenue authority settled a transfer-pricing dispute with a subsidiary of Kumba Iron Ore to the tune of R2.5bn in 2016. The initial assessment was R6.5bn. In Tanzania, a large mining company recently received a $190bn tax assessment. Transfer pricing has been regarded as the major culprit in base erosion and profit shifting (Beps) in which profits are shifted from high-tax jurisdictions to lower tax jurisdictions to limit a global group’s tax exposure. Gosai emphasises that transfer pricing is not an exact science. It requires judgment and discretion. No one can define the exact price. Finding middle ground requires pragmatism. Information is important in any transfer-pricing dispute, but it seems the burden of proof is becoming insurmountable, she says. “We are moving into a space where tax administrations are demanding documented proof and evidence to substantiate routine commercial realities,” Gosai says. Andrew Wellsted, head of the tax team at Norton Rose Fulbright, says that if a company’s affairs or record-keeping are not up to scratch, it faces a long, time-consuming process of getting what the revenue authorities require. If taxpayers have followed incorrect practices, knowingly or otherwise, it will expose them to tax liabilities and potential disputes. Irrespective of any actual legislative changes, 93% of respondents believe that tax authorities will increase tax audit assessments as a result of proposed Beps initiatives. “If the audit is conducted in an aggressive fashion, it can be very disruptive to the day-to-day operations of the taxpayer. This needs to be carefully managed by taxpayers and the authorities,” says Wellsted. Deloitte recently published its survey on the views of multinational companies regarding the greater interest in “responsible tax” and Beps among the media, and political and activist groups. In the 2017 survey, 460 people in 38 countries responded. The results show that respondents are expecting a major effect on their compliance requirements due to the additional reporting requirements arising from the Beps action plans developed and published by the Organisation for Economic Co-operation and Development (OECD). The survey shows that 94% of the respondents believe that the additional transfer-pricing reporting requirements will substantially increase their compliance burden when it comes to corporate tax. More than 90% of the respondents agree that tax structures are under greater scrutiny by tax administrations than a year ago. “Irrespective of any actual legislative changes, 93% of respondents believe that tax authorities will increase tax audit assessments as a result of proposed Beps initiatives,” Deloitte’s survey found. Gosai says many multinationals make the mistake of not fully understanding what they are submitting to a revenue authority, the context of such submissions, the potential ways that it could be interpreted by a revenue official and, most importantly, that once submitted, such disclosures cannot be retracted. Companies tend to over-comply when faced with a request for information from SARS, especially if it is not specific about its scope. There is a danger that information offered by the taxpayer that is not relevant to the question asked may lead to further questions or may create the wrong impression. Most tax disputes turn either on a legal interpretation of legislation, or a factual issue. The dispute is often centred on whether or not an arm’s-length price (the price offered to an unconnected third party) has been charged. “This involves complex and detailed economic analysis and is invariably very subjective,” Wellsted says. “Thus finding the objectively right answer as to what an arm’s-length price could be, is almost impossible,” he says. Source: Originally published in Business Day, Visser. A, published as “Multinationals face quandary over transfer pricing”, September 6, 2017. Trade Facilitation Agreement, 22 February 2017. A major milestone for the global trading system was reached on 22 February 2017 when the first multilateral deal concluded in the 21 year history of the World Trade Organization entered into force. In receiving four more ratifications for the Trade Facilitation Agreement (TFA), the WTO has obtained the two-thirds acceptance of the agreement from its 164 members needed to bring the TFA into force. Rwanda, Oman, Chad and Jordan (pictured above) submitted their instruments of acceptance to WTO Director-General Roberto Azevêdo, bringing the total number of ratifications over the required threshold of 110. The entry into force of this agreement, which seeks to expedite the movement, release and clearance of goods across borders, launches a new phase for trade facilitation reforms all over the world and creates a significant boost for commerce and the multilateral trading system as a whole. Full implementation of the TFA is forecast to slash members’ trade costs by an average of 14.3 per cent, with developing countries having the most to gain, according to a 2015 study carried out by WTO economists. The TFA is also likely to reduce the time needed to import goods by over a day and a half and to export goods by almost two days, representing a reduction of 47 per cent and 91 per cent respectively over the current average. Implementing the TFA is also expected to help new firms export for the first time. Moreover, once the TFA is fully implemented, developing countries are predicted to increase the number of new products exported by as much as 20 per cent, with least developed countries (LDCs) likely to see an increase of up to 35 per cent, according to the WTO study. At present, 10 out of 24 Members of East and Southern Africa (ESA) have ratified the TFA. These are; Mauritius, Botswana, Lesotho, Kenya, Zambia, Seychelles, Madagascar, Swaziland, Mozambique and Rwanda. So where to now South Africa?